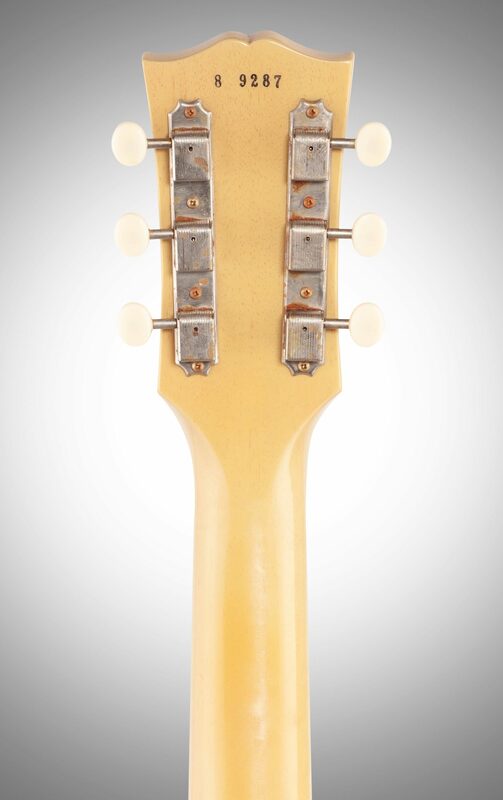 1958 was a monumental year for Gibson in which a whole new lineup of now-famous models were introduced. 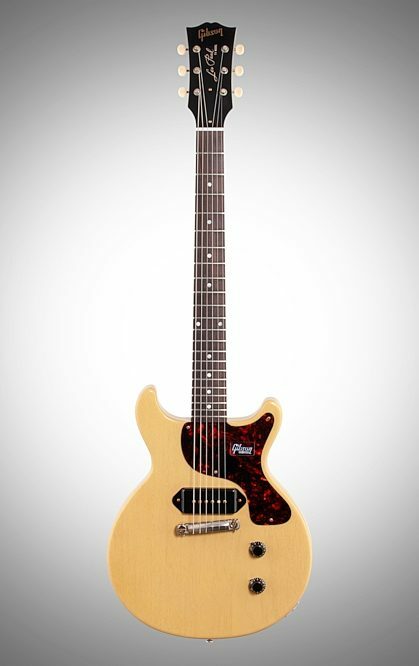 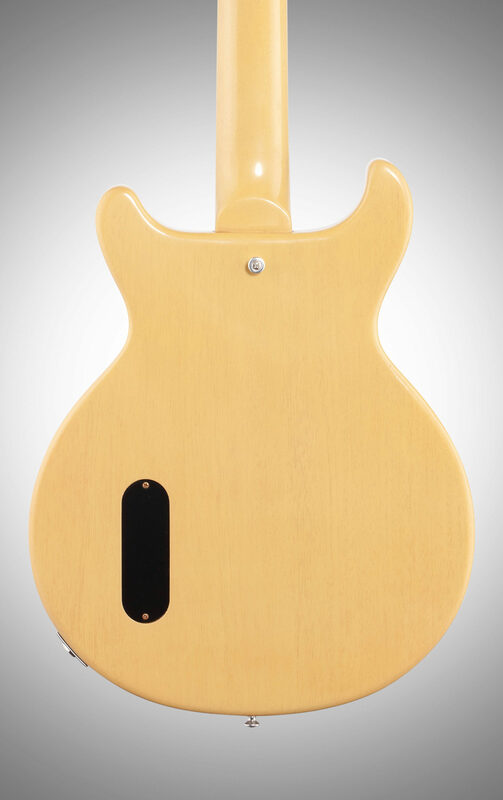 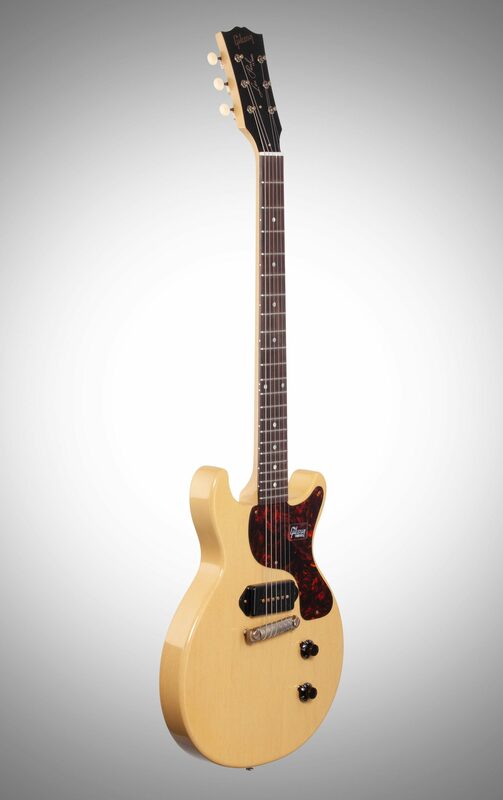 One of them was the redesigned "double cutaway" Les Paul Junior, which has since found its place in music history as a favorite of hard rock musicians. 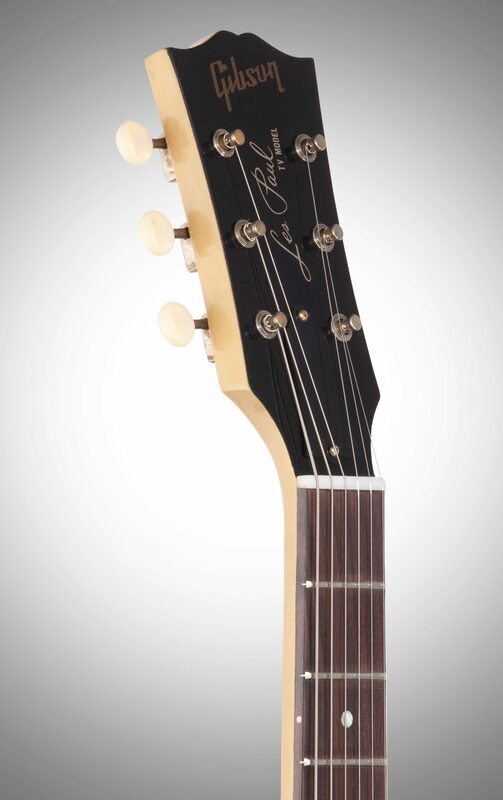 The extra fret access of the double-cut construction allows upper octave leads while the "simple is better" single-pickup setup projects only thick, heavy tone. 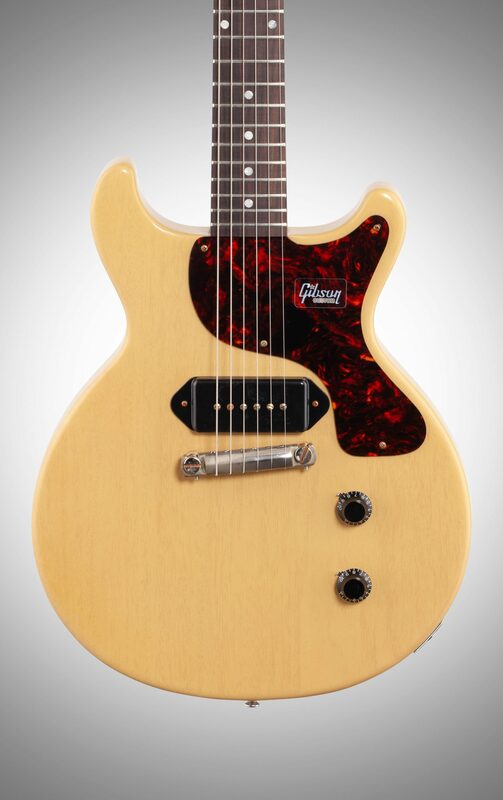 Gibson Custom Shop has proudly revived the original recipe from 1958 for this Gibson Custom Shop 1958 Les Paul Junior Double Cut Reissue Electric Guitar, from the solid mahogany and hide glue construction to the vintage-style wiring. It is an accurate and faithful replica in every possible way. 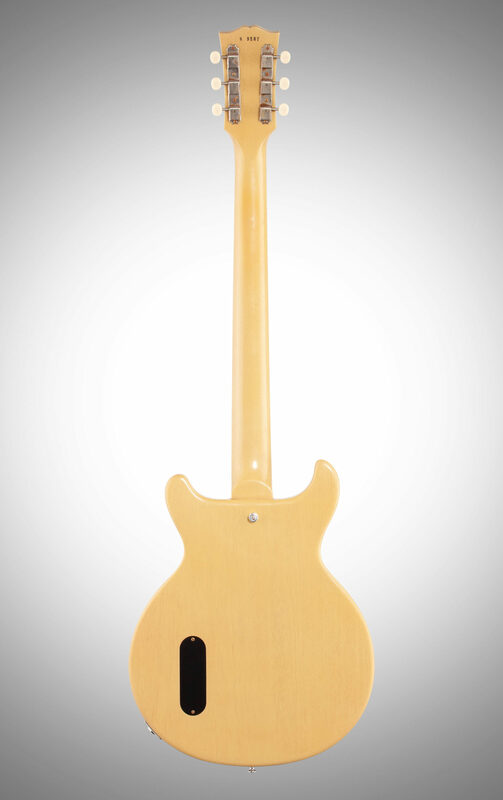 - End of Board Width: 2.24"